ANKI Cosmo interactive robot in perfect condition with original box, instruction manual and accessories. 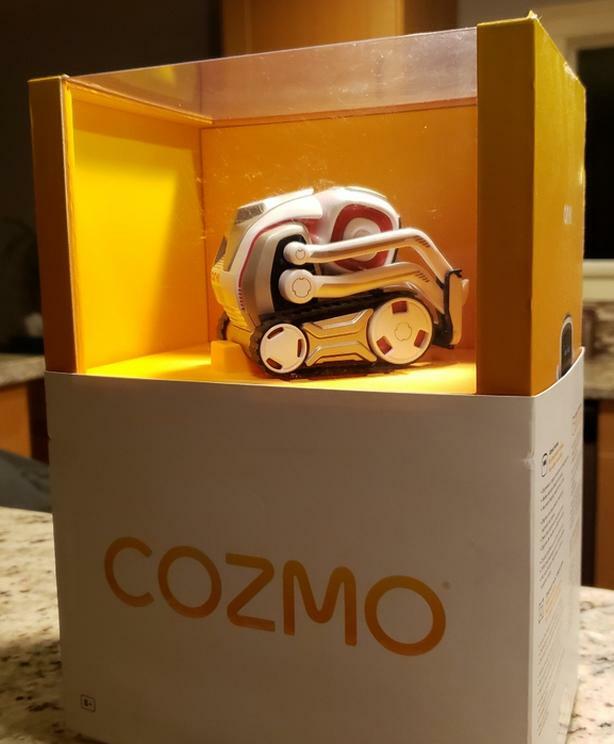 "Bring home a new best friend when you get the Cozmo robot from Anki. This playful robot has artificial intelligence and hundreds of emotions, so he can react to situations with facial expressions and expressive body language. Play games like Keep Away and Quick Tap with Cozmo, or develop Cozmo's personality and skills through the Cozmo app"